A new piece of gear from Pioneer is like music to our ears – literally. 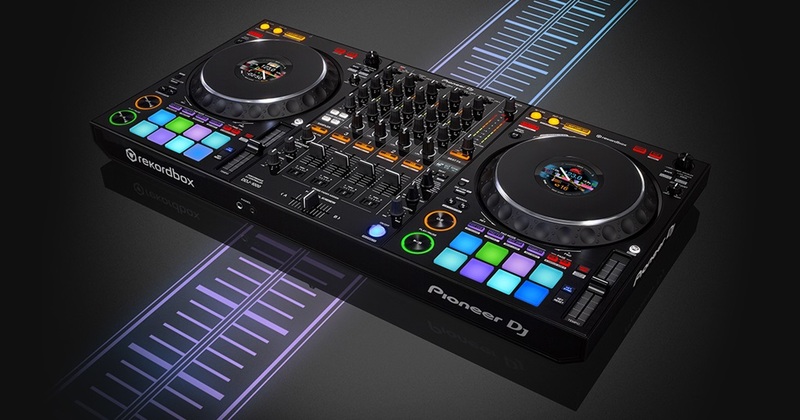 Electronic music producers and DJs who love Pioneer hardware have every right to be ecstatic on this fine Tuesday, as they’ve unveiled a new controlled designed specifically for usage with rekordbox dj. The DDJ-1000, announced on their website today, mixes the best of “a club-style interface for intuitive performances in a compact, portable body.” It fits a four-channel mixer along with two media players and aims to make . The controller also has jog wheels adopted from the CDJ-200NXS2 along with On Jog Display screens. It also comes with a new user interface and is ultra portable, making it easy for DJs to bring it to any venue that may not have a traditional setup. A few other key features include high-def LCD screens, 16 performance pads in an array of colors to be used for key shifts, samplers and loops, and an upgraded version of the Related Tracks feature. This version of Related Tracks makes it even easier for artists looking for their next track to bump, with more options for search criteria while you’re digging and the ability to save your custom criteria. Along with this new announcement, Pioneer also announced that the newest version of rekordbox – version 5.1 – will be available for download on January 18th. The controller costs €1,199 and will be ready for purchase this month. You can see its beauty in the video below, and find more details on its features here.